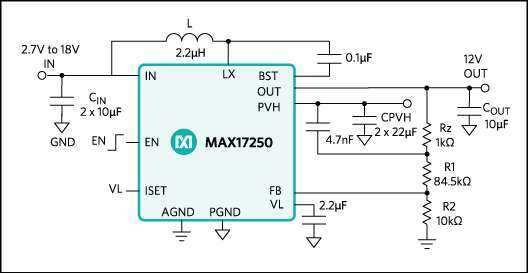 Maxim MAX17250 DC-DC Boost Converter is a high-efficiency, low quiescent current, synchronous boost (step-up) converter with True Shutdown™, programmable input current limit, and short-circuit protection. The MAX17250 has a wide input voltage range of 2.7V to 18V and generates an output voltage of 3V to 18V. The MAX17250 has a maximum on-time of 800ns and implements three modes of operation. The first mode of operation is a soft-start mode at power-up. The second mode of operation is normal operation and utilizes a fixed on-time/minimum off-time Pulse Frequency Modulation (PFM) architecture that uses only 60μA (typ) quiescent current due to the converter switching only when needed. 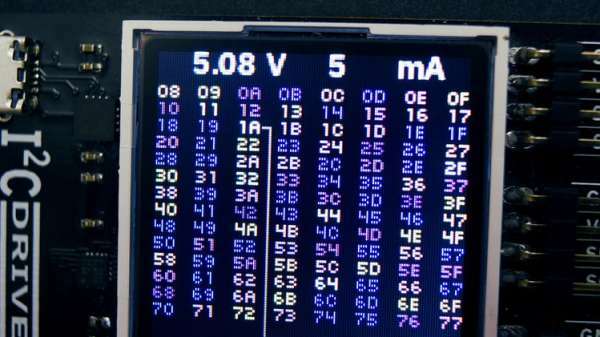 The last mode is True Shutdown, where the output is completely disconnected from the input, and the battery drain is minimized to 0.1µA (typ) shutdown current. The MAX17250 converter implements three modes of operation: The first mode of operation is a soft-start mode at power-up. The second mode of operation is normal operation, which uses a fixed on-time/minimum off-time pulse frequency modulation (PFM) architecture that uses only 60 μA (typical) quiescent current due to the converter switching only when needed. The MAX17250 converter’s True Shutdown™ mode completely disconnects the output from the input, resulting in a current draw of just 0.1 μA, virtually stopping battery drain, providing long battery life, and eliminating the need for external disconnect switches.